I have never come across an organisation aligning so closely with my values than AFRICA YOGA PROJECT. Six years into our relationship, I'm honoured to announce I am an active Ambassador and I'm going back to Kenya for the third time. Over 6,000 people participate in more than 300 community yoga classes weekly in 80 locations. And that every week up to 360 people from all walks of life in Nairobi gather at our community center to practice yoga for 2 hours together as a community. Almost four years since my last service trip with AYP, not a day has passed where I haven't felt connected to this organisation and the powerful change they are affecting not only within Kenya but now across Africa, as a continent. In 2012, I had my first opportunity to fundraise as an AYP Ambassador. 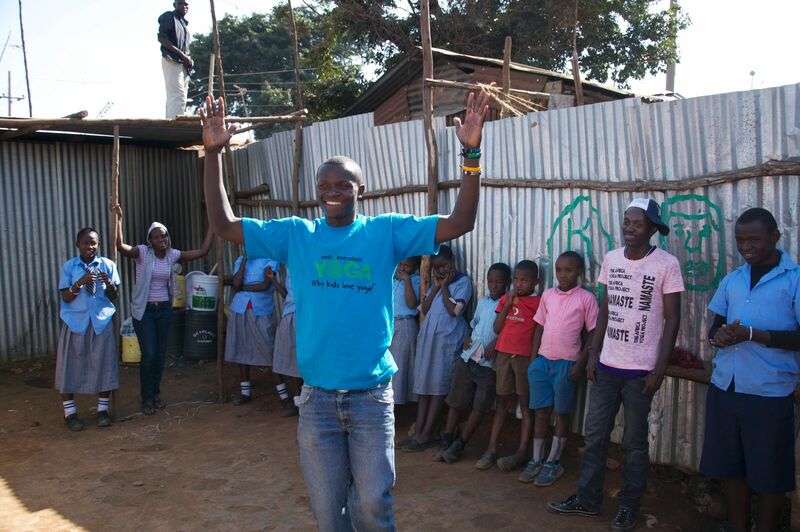 I shared the impact this project has on disenfranchised Kenyan youth with my North American community. After successfully raising $5000 (thank you friends! ), I was fortunate to spend more than two weeks exchanging knowledge, the yoga practice and relevant life skills with the AYP teaching team. My second opportunity to support Africa Yoga Project enabled me to fundraise an additional $5000 (Thank you again!). In July 2013, I travelled back to Kenya to assist the Level 2 200-Hour Teacher Training alongside Baron Baptiste. We supported over one hundred African participants to complete their 200 Hour Training, enabling them to confidently take these teachings back into their unique communities - providing jobs, education, mental-wellbeing tools and most importantly a sense of hope and purpose. I arrived in Kenya for my first trip expecting to be of service to others. Little did I know the powerful impact this exchange program could have on me. 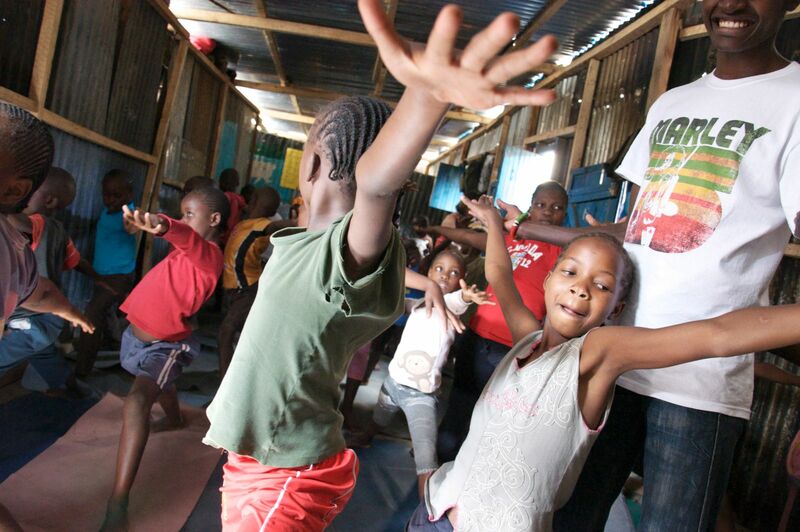 Africa Yoga Project is a platform for inspiring and elevating everyone. Regardless of our upbringing or circumstances, no one person has less to give and receive than any other. That was the most profound learning I received on this trip. I was humbled and fascinated by the passion, determination and wisdom pouring out of the shiny beings I connected with. The program wasn't easy. I won’t lie. Everything confronted me - the poverty, the noise, the crowds, the seeming lack of structure and efficiency. 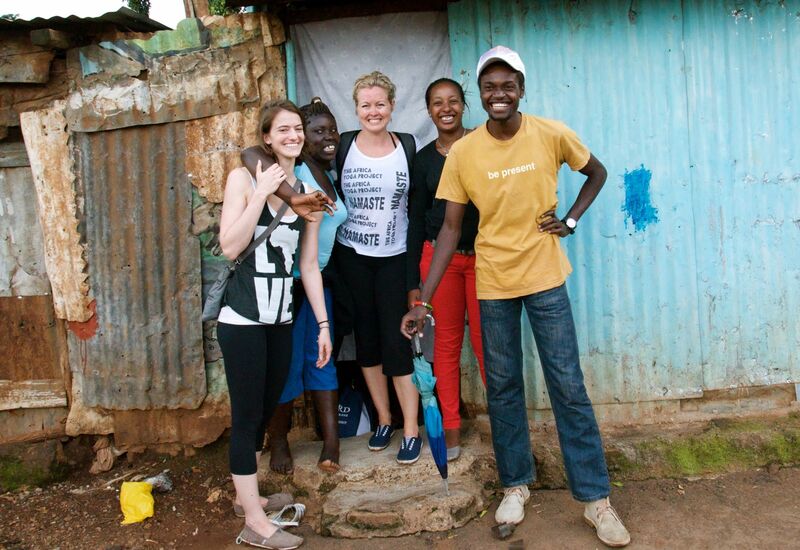 As I softened and started to let 'Africa Time' seep into my pores, I started to understand why this initiative is so important - not only does it give a young Canadian woman like me an opportunity to feel like I can have an impact on the world, but it allows a beautiful realisation to occur - the friends I made, living in seemingly less ideal circumstances are filled with the same, if not more passion, light and joy than many of my community members back home. The AYP teachers shared their gifts with me, as I shared my gifts with them and I fiercely protect that light and commit to continue to share it. We are all exactly the same as the definition of happiness remains open for discussion. That being said, the disenfranchised youth within areas like the slums of Nairobi have very real threats to negotiate on a daily basis. Their lives are not easy. The fact that these people emanate joy, gratitude and creativity within these less than ideal circumstances is beyond inspiring. This is why I am so thrilled to share with the world today - I am going back to Africa. Now as an Australian resident, I am fundraising to continue to provide employment and opportunity for the vibrant youth making Africa Yoga Project a reality. I am returning to Kenya as an Ambassador, considering new employment opportunities through the creation of a new retail initiative within the project. Our mission for this new sector is to develop a sustainable, wellbeing-inspired retail business within AYP generating additional channels for consistent revenue streams/job opportunities and expanding International presence. My goal is to raise $10,000. That is enough to train 10 brand new teachers this year, who in turn will teach 5 outreach classes each week. 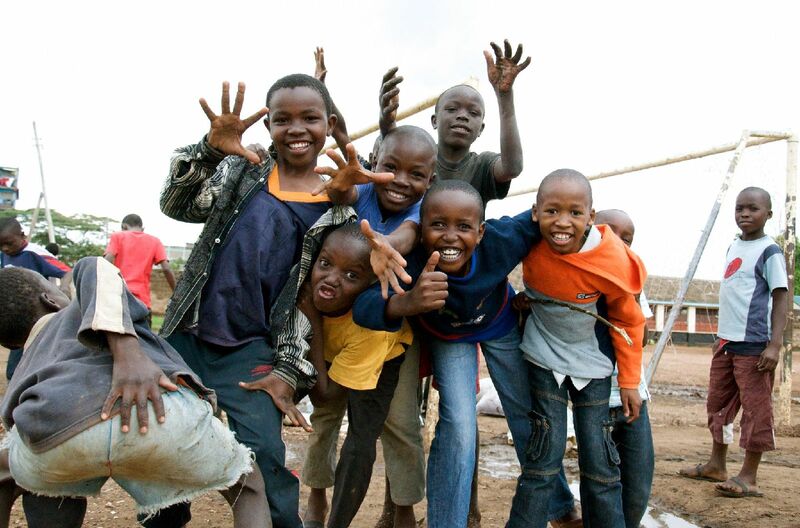 Your gift will ripple through the slums touching thousands of people facing daily challenges. Thank you for your support today - we couldn’t continue to expand this amazing program without people like YOU! Cy Governs 09/23/2017 $20.00 Have a great day, AYP! Rachel Dawson 09/23/2017 $72.00 Raise the roof AYP!! Melanie Giggs 09/23/2017 $50.00 AYP is an amazing organization that empowers in Africa. I've seen first hand how it changes lives!! KIm Colleaux 09/23/2017 $20.00 You guys are up to big things! Lacy Elam 09/23/2017 $20.00 I am so happy to have the opportunity to help others become passionate about yoga and learn how to share that experience with the world. 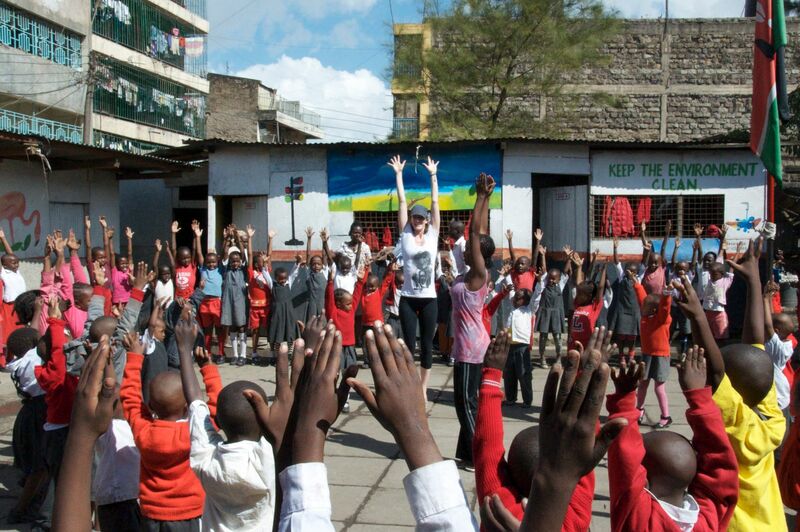 The Africa Yoga Project is changing the world! Mallory and Brian Fox / Thomas 09/23/2017 $20.00 I love and support you all! Jess Belford 09/23/2017 $38.00 Congratulations AYP and Paige Elenson! So moved by the big show of support and love today! Therese-Arturo Bolliger-Nagel 06/15/2017 $230.00 Good luck reaching your goal!